The religious sentiment and convictions of this world will allow God to be a God of love and a God of grace – all the while insisting that by one's own works can a soul be justified before the LORD – and full of forgiveness and compassion. Yet this is where their thinking stops, and will go no further into the fullness of God's nature. Scripture plainly declares that God is love (1 JOHN 4:8) and it's because of His heart of love that He gave us salvation through the LORD Jesus Christ (JOHN 3:16-17); however to focus too narrowly on this primary attribute of God to the neglect of His other primary attribute is dangerous! God is just as much a God of holiness (LEV 11:44; 1 PET 1:16) as He is a God of love. If He is holy, then there is a standard of holiness, and if a standard, then mankind must hold to that standard if he is to be accepted by God. Yet we have had 6000 years to prove ourselves incapable of holding the standard of holiness, which the LORD knew we would be incapable of, due to our sinful nature (ROM 3:23; 5:12; EPH 2:1-2). Hence, the reason all along that God sent His Son to stand in our stead, be judged Himself and condemned as our own sin bearer and die for all of our sins (2 COR 5:20-21; 1 PET 3:18)! For those who refuse the Gospel of salvation, there is no other means of salvation (certainly not self-justification) by which humanity may receive acceptance with the HOLY LORD, and so they must resort to GOD as the HOLY JUDGE! And that is a terrifying thought, because who can stand when they are judged by the Holy God? There are many that disparage the idea that God is a judge – those of the New Age movement as well as the Emergent Church movement will flatly deny that God will judge sin (or that there is such a thing as 'sin'!). I recall listening to a radio program in which a New Age mystic was interviewed and was asked about God being a judge; she absolutely refuted the thought and said that “...God is love, and there is no judgment to come . . . there is no sin”. Sin: That which qualifies a person for God's judgment. God's Judgment: God's punitive action whereby sinners are sent to hell. “I used to read the Bible with these kinds of definitions in mind, but I have become convinced that these definitions are not ... Biblical! “I would define these two key words quite differently. Sin: That which opposes God's loving desire for all creation. Quoted from B. Mclaren's Blog. 8 The Lord shall judge the people: judge me, O Lord, according to my righteousness, and according to mine integrity that is in me. 9 Oh let the wickedness of the wicked come to an end; but establish the just: for the righteous God trieth the hearts and reins. 10 My defence is of God, which saveth the upright in heart. 11 God judgeth the righteous, and God is angry with the wicked every day. 12 If he turn not, he will whet his sword; he hath bent his bow, and made it ready. 13 He hath also prepared for him the instruments of death; he ordaineth his arrows against the persecutors. 18 For the needy shall not always be forgotten: the expectation of the poor shall not perish for ever. 19 Arise, O Lord; let not man prevail: let the heathen be judged in thy sight. 20 Put them in fear, O Lord: that the nations may know themselves to be but men. Selah. 3 For I acknowledge my transgressions: and my sin is ever before me. 4 Against thee, thee only, have I sinned, and done this evil in thy sight: that thou mightest be justified when thou speakest, and be clear when thou judgest. 5 Behold, I was shapen in iniquity; and in sin did my mother conceive me. 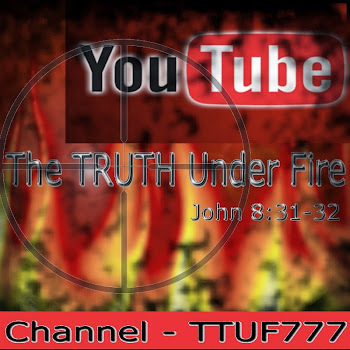 2 But we are sure that the judgment of God is according to truth against them which commit such things. 3 And thinkest thou this, O man, that judgest them which do such things, and doest the same, that thou shalt escape the judgment of God? I don't suppose that there will be much 'restorative justice' going on in the flames of hell; but there will be justice in the sense that sinners who refuse God's right of rule and offer of salvation will be punished for their offenses against the LORD of eternity. The argument of God being unable to forgive the sinner without punishing someone else in comparison to a husband who is admonished by Scripture to simply forgive his wife (and NOT kick the dog!) is not taking into account that the LORD is Holy – far more holy than we have any capacity to understand. It's because of His infinite sense of holiness that even the small sin, and the 'white' lie is seen as heinous and abominable to Him and that His nature dictates that such requires justice. As any judge who would overlook a murderer who has slain an entire family (including children) would be incredibly unjust, so too the LORD God would be violating His own nature by simply overlooking sin and not bringing retribution against it. However, we must balance the uncompromising holiness of God with the compassionate love of God: He loves us, and does not desire separation from us (ISAIAH 59:2; EZEK 18:4, 20) due to our sin. This is why He HIMSELF has offered to be our sin-bearer in the Person of Christ our Redeemer; we shall consider this fourth office of God in the final segment of this four part series. Since God is the LORD, and rules according to His sense of Law and justice, He as the giver of the Law is uniquely qualified to preside over the Law as the Judge. Regardless of how people might perceive 'God' in their own minds and deny His obligation as the Judge, He will take sinful man to court – the Highest Court in all the world: His own! - and see to it that justice is served when He levels His holy judgment on the unredeemed according to His Law. To reiterate, as Creator and LORD of the various human institutions, granting powers and abilities to His creatures, God presides over creation as Judge, to determine by Law how each person, being granted some of those various powers and abilities to function in said institutions, how we have kept the stewardship of these things (LUKE 16:2). 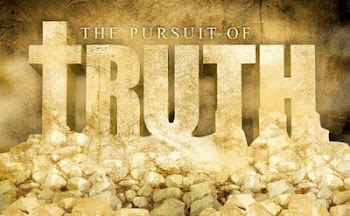 Unless one recognizes the truth, that we are all subject to the Granter of institutions, powers and abilities and accountable to Him to govern in these affairs justly and truthfully, we will turn these institutions inwardly to serve our own selfish ambitions and lusts, committing sin against the Granter. Respect for the powers given by God, once lost, is seldom regained, and a higher regard is given to those powers in making one self a 'god', rather than having the highest regard for He to Whom we will stand before in judgment as He rightly executes justice upon such abuses and perversions. It is therefore the Law that will serve as the basis for judgment against all sin, for that is the primary purpose of the Law – to expose the unrighteous, to reveal sin, to lay open the hidden festering of iniquity (1 TIM 1:9). Concerning the nation of Israel in relation to the Law, there are specifics within the body of Holy canon as they relate to civil matters of this nation as well as social, religious and dietary matters. However, beyond the phylacteries, the untrimmed beards, the pork products; beyond the avenger of blood and the cities of refuge there is the moral Law that speaks of the matters of the heart, universal to all mankind – the very conditions of the heart of God which is holy and the heart of man which is sinful. It is then this moral aspect of the Holy Law of God which demands that we are truthful and not be guilty of lying; to be honest and never steal; to be content and not to covet; to never harbor hatred and commit murder. All of the institutions established by God the Creator serves to uphold the values of this moral law, and violation of these institutions is a sin against the Law. For example, the institution of marriage upholds the Law, that we are content with the spouse of God's choosing and not covet after another. The fruit of marriage is in children, the creation of life, which stands opposed to the wanton murder of said life; particularly heinous is the death of new life granted in marriage in bringing forth children. The institution of government upholds the Law in keeping order, the protection of freedom and sovereignty whereby all people may exercise liberty without fear of oppression and victimization as in theft by persons or government perverted; that the people of any nation may be given the truth on political and social matters by a truthful government, not given to conspiracy and deception. What must be understood on an even deeper level concerning the Law is that on the Day of Judgment people will not be giving account to the Judge for their actions only, but also for the thoughts and intentions of the heart! This intimate scrutiny is enough to indict every one of us as the incontestable “chief of sinners”. This is quite simply why no one will ever, indeed can never be “justified by the Law” (ROM 3:20-23). There is only one Man who can make this claim, and He indeed has fulfilled the Law on our behalf as our Kinsman goel, and purchase back for us the indebtedness we have incurred by our sins to the Holy God (MATT 5:17; GAL 5:1-6; ROM 3:19-25). It has been said that “justice delayed is justice denied” however in the Halls of Eternity, such a limited view is not valid because we are dealing with God Who is Judge that “inhabits eternity” (ISAIAH 57:15) and not confined to any singular moment of time. He dwells in eternity because He Himself is eternal and His essence of holiness, Law and justice are all likewise eternal. Hence, any transgressions against His eternal Law bears a penalty that is likewise eternal in its consequences and punitive requirements. This is why Scripture portrays hell or gehenna – the lake of fire – as a place of “eternal torment” and “everlasting destruction”. Yet the LORD Who is Judge is not willing to condemn the guilty but to redeem (GOD as Redeemer is the fourth and last office to be examined in the concluding article). I have said before that “God drags His feet to bring judgment, but He sprints to reveal His mercy”! And so it is! Scripture declares that Christ Himself will be the Judge as He has been granted that office by the Father (JOHN 5:22). The actual time of Judgment Day will take place in two different and distinct events: The Great White Throne Judgment at the end of the Millennial period (1000 year reign of Christ that commences at the end of the Tribulation period when Satan is bound and imprisoned for that entire time) and the Bema Seat of Christ (2 COR 5:10) which will take place in heaven. Unrepentant sinners who are judged for their sins will appear before Christ at His Great White Throne, where there will be no grace, nor mercy – but only the justice of God based upon the Law (REV. 20:11-15). Only Christians will appear before the Bema Seat of Christ, where they will be judged – not for their sins (These were already judged at the Cross of Christ where He paid the price for their sins), but for their works done in the name of Christ (1 COR 3:12-15; 2 COR 5:10-11) that will either be rendered rewards or a lack thereof. It is the expressed concern and prayer of this author that any and all who are reading this will make certain of their salvation in Christ and if they are not repentant and saved from their sin, that they would believe the Gospel, turn from their sin and surrender to the LORD Jesus Christ and receive salvation by the grace of God alone.